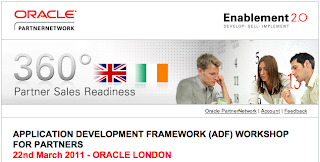 This workshop is designed to allow participants to gain practical experience of Oracle's Application Development Framework (ADF). It includes an introduction to the framework and a detailed insight into its technology stack. Hands-on labs enable the attendee to get practical experience of ADF and demonstrate the power of the framework.